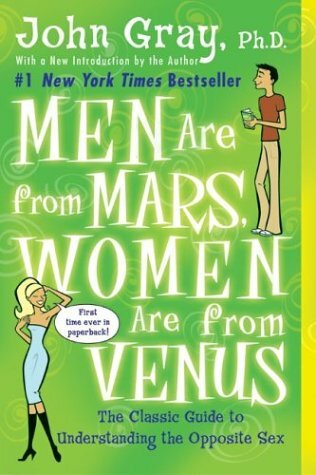 Author of the best selling Men Are From Mars, Women Are From Venus (1992) and its sequels, John Gray is a frequent guest on popular talk and news programs on both radio and television and teaches seminars on relationships and communication. His books have been translated into 38 languages. Gray received his Ph.D. in psychology from Columbia Pacific University. He lived as a monk for nine years, receiving his bachelors and masters degrees in Creative Intelligence from Maharishi European Research University. Gray lives in Northern California with his wife, Bonnie, and has three children.